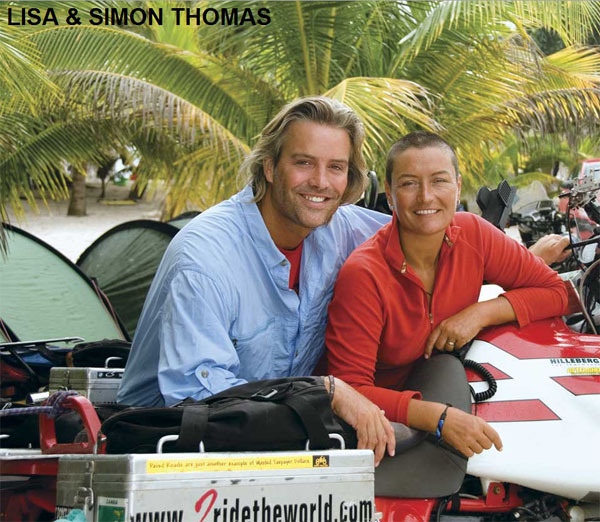 When Lisa and Simon Thomas left their UK home in May 2003, their goal was to circumnavigate the planet, on their motorcycles, in one continuous journey. They thought they would be out for two years, but after almost 15-years of enduring some of the most demanding regions and conditions in the world, they are, by their estimation, “only” three quarters the way through. 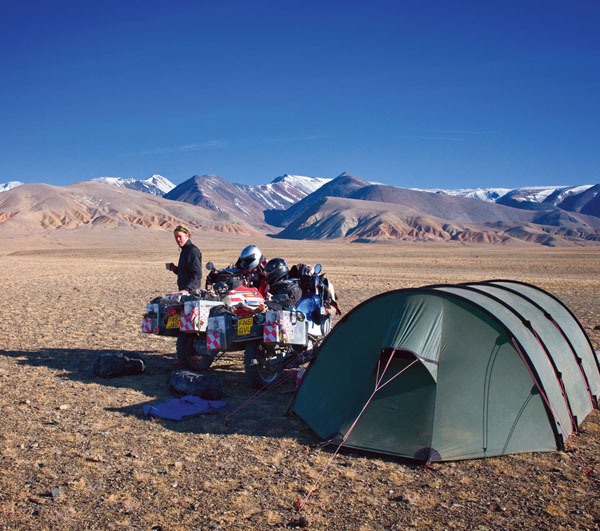 The two have journeyed over 481,000 miles/774,000 km, have ridden to and through 78 countries of their planned 122, and they have traveled to the most northerly and southerly points on earth possible by motorcycle.